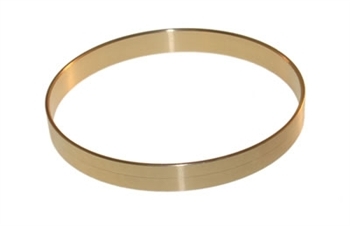 CD4E differential carrier bushing from Omega Machine & Tool Inc.
Special Instructions: Click the "Add to Cart" button in the upper right side of this screen to purchase. You will have a chance later to add or delete more items before you have to complete your order. Thank you for trusting Omega Machine and Tool with your business. This bushing is the large bushing that goes in the case on a CD4E and supports one end of the differential. The ID is 3.7" and this bushing is a one piece bronze bushing.